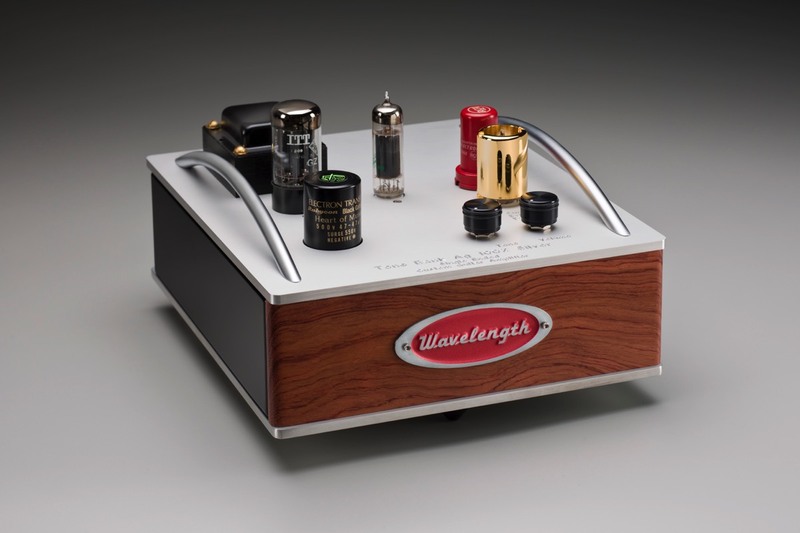 Wavelength Audio, ltd Product Page Our custom products page. 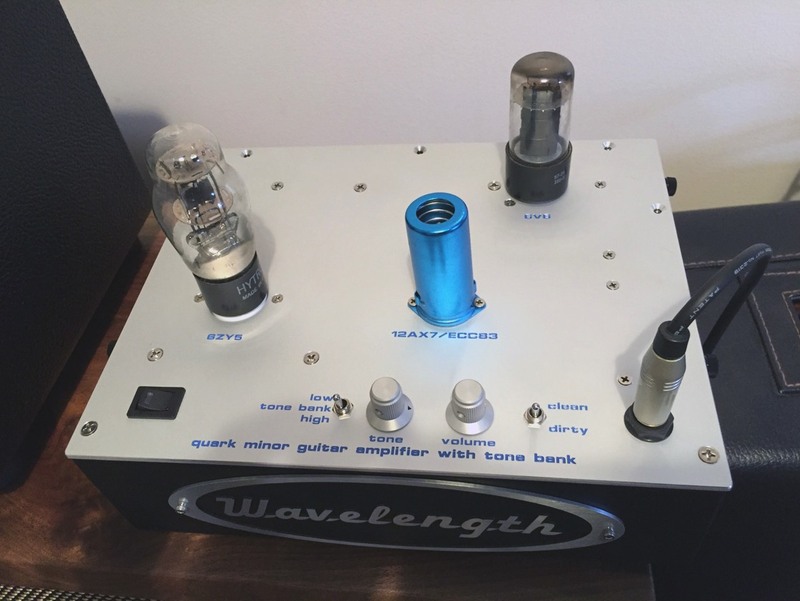 This is a very versatile 10” Combo using a very unique circuit with a 6AQ5 output tube (very similar to a 6V6). The 6072A input tube is loaded with a really large inductor instead of a cheap resistor. This gives the input level a lot of clean headroom and also tons of gain with very low noise. There is a Volume & Tone before the second stage and then a Master Volume before the single ended output. The output transformers are custom wound MagneQuest. The power capacitors are all Black Gate. 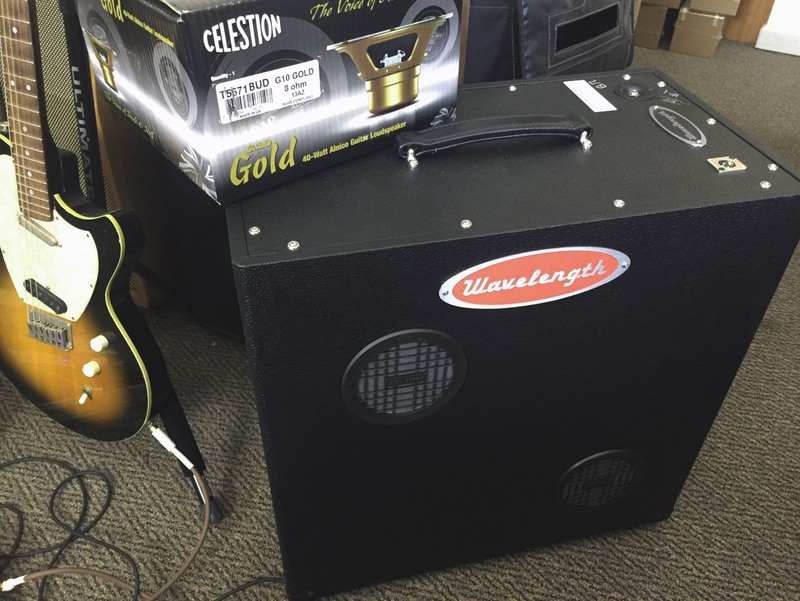 Celestion Gold Alnico 10” 97dB mid focused and loud. 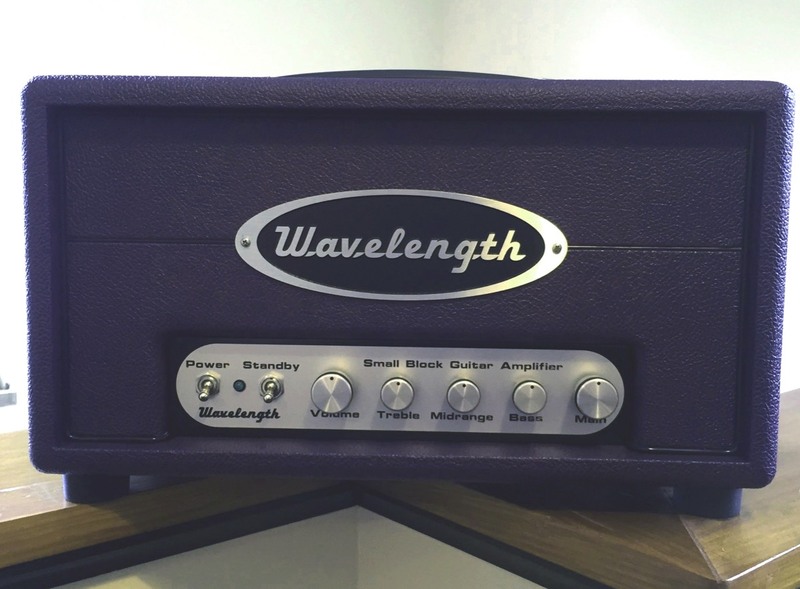 All the amplifiers have a 6072A front end which includes the volume and tone stack. That is coupled to the output stage with the Master Volume control. The MPC uses an SRPP 6FQ7/6CG7 output tube that drives the magnetic phase coupling. This assures that both halves of the Push Pull are always equal. The Ed Robertson model uses upgraded output transformer and other parts. The RFC uses a 12AU7A half for gain and the other half to drive the direct coupled output stage. This allows the amp to go from Class A to Class A2. The 300B is a magical tube that cannot overdrive and stays very clean. The Quark model is a really low noise 5W (6V6 - Minor) or a 8W (7591A - Major) head amplifier. It comes with a tube cover, but it’s removed here to see the layout (Minor). 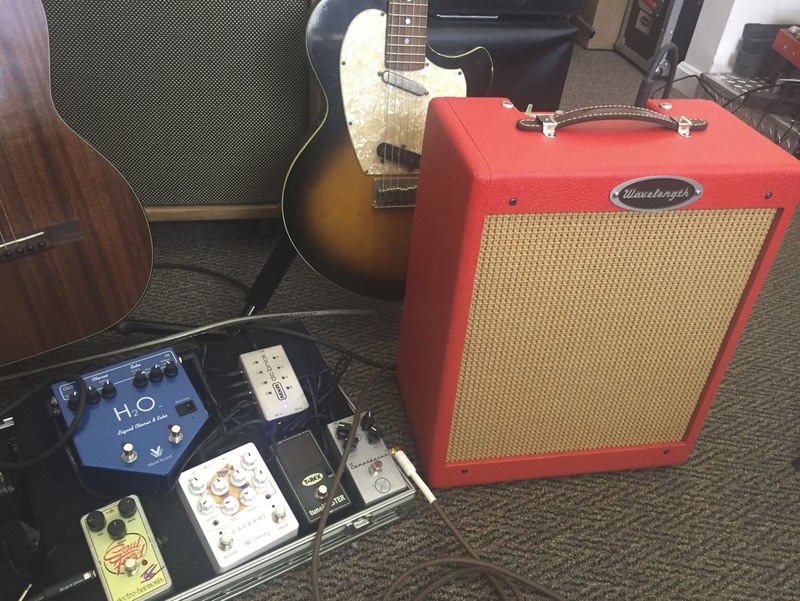 The Tone Stack is modified by a 3 way switch with the settings Low, center off, High. It pushes the stack in either direction or off. The gain is also varied by a 2 position switch of feedback which determines how clean the amplifier will sound. This three tube wonder is filled with unique circuitry in a small 10x8 inch chassis. The back panel has the speaker output. 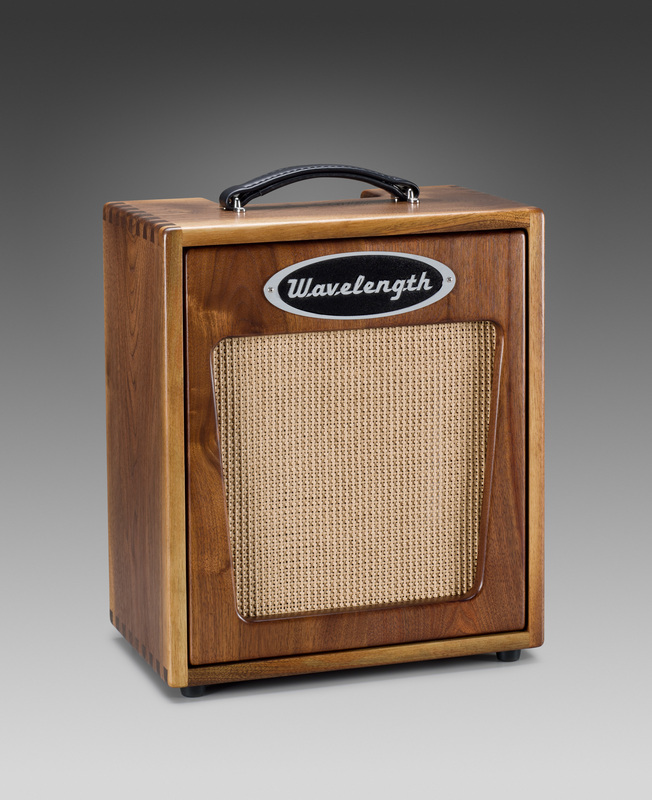 Both the 10” and 12” cabinets have a standard 1/4” input from the amp that goes directly to the speaker. There is a Shure SM57 microphone and cable which comes out on a standard XLR connector. Both the driver and the microphone side of the enclosure are loaded isobariclly. Which extends the response of the driver as well as tame the impedance as seen by the amplifier. The smaller 10” model is 22” x 22” x 12” @ 38 Pounds. This model comes with a cover and can be loaded as standard luggage size on planes. The larger 12” model fits in a B9 ATA case and is 22” square and about 80 pounds. 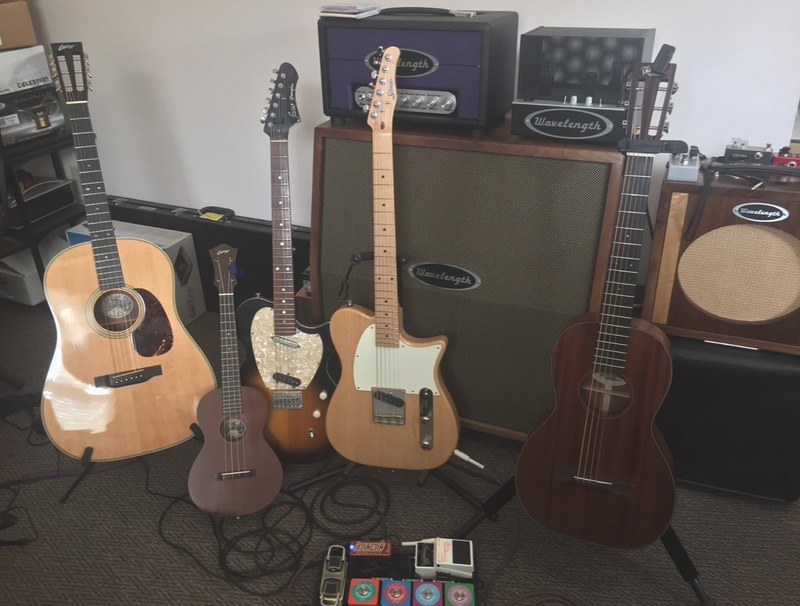 Custom speaker cabinets, heads, stomp boxes, guitar preamps what ever you can think of I can come up with a solution. This is not something that doesn’t come with a price. Remember all this stuff takes hours of design time. I can amortize that time over production equipment. But with custom units the time is just added in, unless it makes sense to make that a production model.